Introducing a rather unusual vicar and his most singular cat and dog. 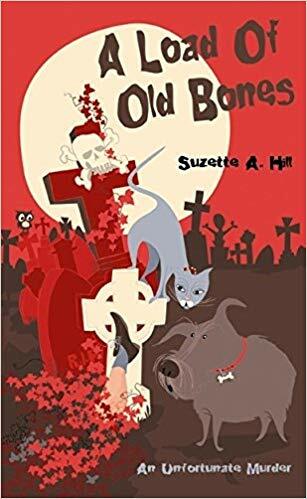 A Load of Old Bones takes a nostalgic romp through a mythical 1950s Surrey, where murky deeds and shady characters abound. Moving from the inner city to the country, the Reverand Francis Oughterard is anticipating an easy life and a bit of peace and quiet. Instead he becomes entangled in a nightmare world of accidental murder, predatory females, officious policeman, wrathful parishioners and a drunken bishop. As the vicar's life spirals out of control it is up to his supercilious cat and bone-obsessed hound to take the initiative and save his skin.